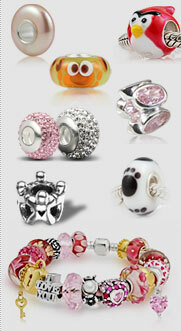 Nothing says BAD GIRL like a European compatible designer inspired skull and crossbones bead! 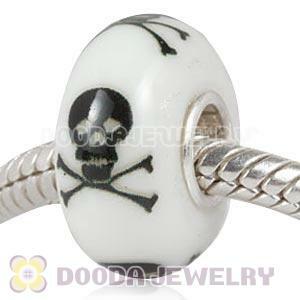 Be the naughtiest nancy in the neighborhood with this Murano Glass Printed Skull and Crossbones Charm Bead, it will be one of many that can be the heart and soul of your European bead bracelet. Made with a .925 sterling silver core, this gothic glass bead stands out! Set over a background of Murano glass as crystal clear as a diamond, hand blown with small bubbles, the skull and crossbones wrap around this round glass bead that fits European compatible bracelets. Conveying the darkness of your soul and the metal in your heart, this is the perfect skull bead for your Designer inspired European Collection! 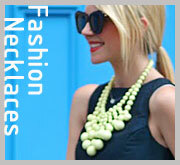 Express your edgy side with a wide range of available patterns such as crystal beads, glass beads, birthstone beads, party beads, heart beads, charm beads, kids beads, enamel beads and animal beads you're sure to find the glass charm you're looking for. These and other Murano glass beads fit European bracelets give your Italian charm bead bracelet, necklace, earrings, or key chain a story of their own.